Walking woods with poems! 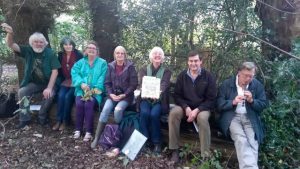 On 4th September, we walked Porters Wood, a Woodland Trust Wood in Woodbridge. Many inspirational poems were shared and I got the opportunity to read from ‘Songs of the Trees’.